Kiselyov is one of the people subjected to financial and travel sanctions in the EU. These restrictions have been imposed on a number of Russian officials in connection with Moscow’s stance over Ukraine crisis. Russia’s ambassador in the UK, Alexander Yakovenko, tweeted that the move is an example of using censorship against media that provides an alternative point of view. This is not the first time authorities in Europe have taken measures to disrupt Russian media from operating there. 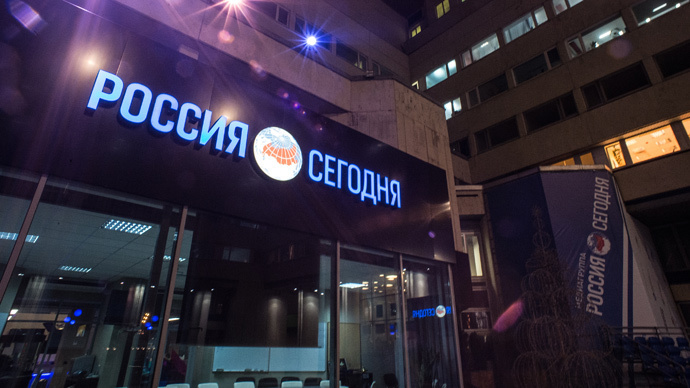 Earlier this month, Poland’s media watchdog launched a procedure to revoke the license of Radio Hobby, which airs Russia’s Sputnik news agency’s radio shows. The watchdog said that the radio has broken a broadcasting law by “handing over some of its authorized airtime to a third party, thus forfeiting its right to influence the content and presentation of the broadcast material.” The radio station’s founder believes the move is politically-motivated. A local channel in Germany, Salve.TV, was probed by a local media watchdog after the channel broadcast an RT Deutsch show 'The Missing Part' ('Der Fehlende Part'). The investigation was initiated by German lawmakers who said that the show was biased towards Russia. The Russian Foreign Ministry lashed out at the EU over the report, saying that the proposed plan is violating the right to freedom of expression and creating conditions of total discrimination against Russian media. RT’s Editor-in-Chief Margarita Simonyan stressed that while there are hundreds of Western media speaking in one voice, the EU is trying to push out RT - one of the few alternative sources of information in the international news media.